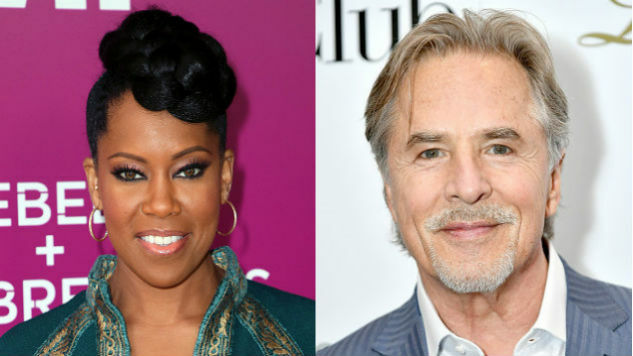 Actors Regina King (American Crime), Golden Globe winner Don Johnson (Miami Vice), Tim Blake Nelson (O Brother, Where Art Thou? ), Adelaide Clemens (Parade’s End), Academy Award winner Louis Gossett Jr. (An Officer and a Gentleman) and Andrew Howard (The Outpost) have been cast in Lost and The Leftovers creator Damon Lindelof’s original take on Alan Moore and Dave Gibbons’ graphic novel Watchmen for HBO, as per Variety. King, who also appeared in The Leftovers, has been cast in the lead role, but little else is known about her character. The air of mystery is due in part to Lindelof’s unwillingness to create a direct adaptation of the graphic novel. In an extensive open letter that he posted on Instagram on Tuesday, Lindelof self-disparagingly stated to Watchmen fans that he is “defiling something” they love by attempting to translate the comic into film. Because, in Lindelof’s words, “Watchmen is canon,” the showrunner is not looking to create a direct adaptation of it and is instead working toward a “remixed” sampling of the original work. Read more about Lindelof’s take on Watchmen here, risks and all, as well as his full letter to fans. Stay tuned for further updates as we keep watching the Watchmen.